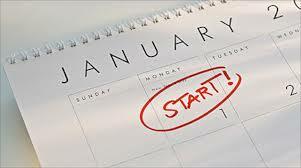 Women returners: Back to your future: Will you stick to your New Year resolutions? Every January it is hard to avoid the talk of 'new year - new you' wherever you look. For women on a career break, the new year is often a time to set goals and make plans for returning to your career or re-inventing yourself. All too frequently, however, your initial enthusiasm and drive can quickly wane, everyday life takes over and the project of returning to work becomes too hard to pursue. All of these factors can lead to a rapid drop in motivation, as discussed by Julianne in her post on maintaining New Year motivation at the start of 2015. I was reminded of how often resolutions fail by a friend challenging me about how I would achieve my stated resolution 'to create more space for myself'. When she asked how I would achieve this, I had no answer. Her question forced me to acknowledge that my resolution was too general and vague and that I hadn't taken the step of converting my idea into action. I saw failure looming! Her suggestion was to try a new approach to make the resolution stick: do something specific, simple and quick and do it daily for a month. By doing something new, even for only five minutes each time, on a daily basis, I will be able to make tangible progress on establishing a new habit. This approach is backed up by psychological research into how new habits get established. Linking the new behaviour to a specific cue, such as 'on waking' or 'before dinner' can also reinforce the habit formation. Of course you are likely to frequently spend more than five minutes a day, if returning to work is an important priority for you. However, by following the principle of doing a small thing every day, you will get into the habit of creating time to work on your return, so avoiding the common trap that everyday life gets in the way. This means that you cannot fail to make progress and will find it much easier to stick with and achieve your resolution by year end.